For GRILLS, PIZZA OVENS, SMOKERS, PATIO HEATERS, and other qualifying items with a pre-tax price of $250 or more. Big Apple Barbecue offers FREE ASSEMBLY to the five boroughs of New York City, plus Long Island and other select areas. Don't forget propane, grill tools, toppers, covers and other accessories! 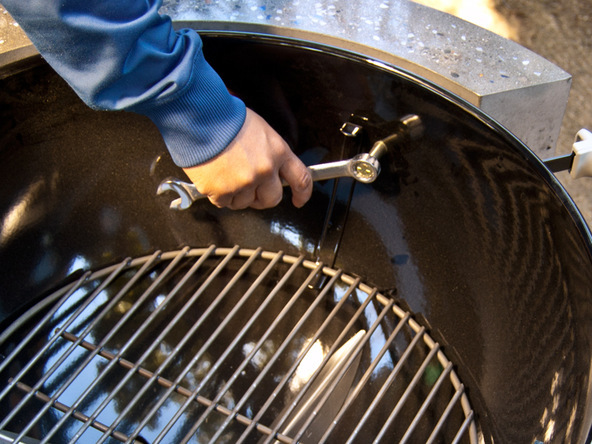 Your satisfaction means the world to us at Big Apple Barbecue, so its important to us that you love your new grill. The best way to ensure that is to call us at 718-204-1166 before you order, and well help you choose the perfect grill to suit your needs! If for any reason you're not completely satisfied with your new grill when we deliver it, just let us know! Well put it back on the truck, take it away, and refund your purchase. Keep in mind that we only accept returns on NEW, UNUSED grills in undamaged, resalable condition and the best time to ensure this is at the point of delivery. Grills that have been left outside for a few days and exposed to the elements won't be considered new. For unassembled grills still in their original factory-sealed packaging, and new accessories and other unopened items, we accept returns within 30 days of delivery for a full refund (minus actual shipping costs we incurred). Regardless of the items being returned, if the return is due to our error here, you won't pay a dime of shipping costs. All returns must be pre-approved by one of our service personnel. Please call us at 718-204-1166 to receive an RMA number prior to shipping any items back to us.